Badger Ordnance Unimounts have 20 MOA cant built in for extended range. 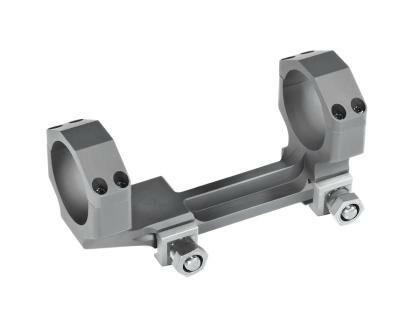 The one piece construction provides for a very ridged mount and the forward extended ring allows for great eye relief on AR platform rifles. Construction is billet machined Aircraft grade Aluminum with a Mil Spec hard coat Anodized black finish. All the clamping hardware is grade 5 and coated in Mil Spec Black Oxide to meet demanding military requirements.